In order to keep your house warm, you need to have regular check ups on your boiler. An annual boiler service is necessary to make sure everything is up to scratch. 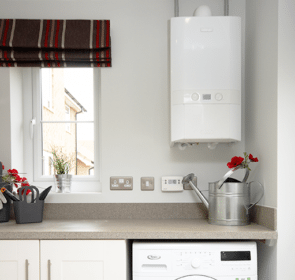 Read on to find out about what is involved with boiler servicing, as well as the expected costs. 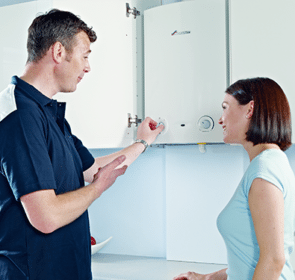 The most important thing you should be looking for in a boiler service is the quality of the service, rather than costs. Despite this, you should still have an idea of the costs before contacting boiler engineers. One option for a boiler service is to contact a heating engineer for a one-time service. According to the Energy Saving Trust, the average cost of this ranges from £50 to £100. Another option is to take out boiler cover that includes servicing—this costs more at around £200, but you are covered for any breakdowns. If there are any issues with your boiler, check whether it is still under warranty. Usually, new boilers are covered during the first one or two years. Also look if your home insurance includes cover for boiler servicing and repairs. Making sure your boiler is running smoothly is not just a matter of money—it is for the safety of your family as well. As such, you should look for a heating engineer that will provide the highest standard of work as possible. Before choosing the first company you see, take a look at others to compare their services, prices, and qualifications. Use our free, non-binding quote request form to quickly and easily analyse boiler service providers and save up to 40% while ensuring you get a high quality service. 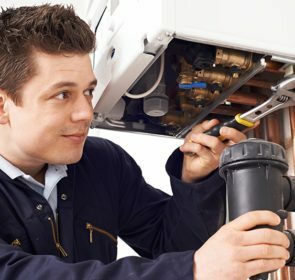 What is involved with a boiler service? Visually inspect the boiler and all other components of your central heating system. Clean any dirty parts of the system, and repair or replace any damaged components. Remove the boiler casing to inspect the internal components to ensure that the boiler is working properly. Create a report stating the tasks they have completed. A thorough servicing should take around 1 hour, with the absolute minimum being half an hour. If the boiler servicing takes any shorter than 30 minutes, as your engineer—it is possible that they have taken a few shortcuts. By law, all modern gas boilers can only be serviced by Gas Safe registered engineers. Ask your heating engineer to show proof of their qualifications; they should have the proper certifications and be more than happy to display them. They should be able to show their Gas Safe ID upon request. Alternatively, you can check them on the Gas Safe Find An Engineer website. An annual boiler service is necessary to ensure that your heating system is working properly and safely. 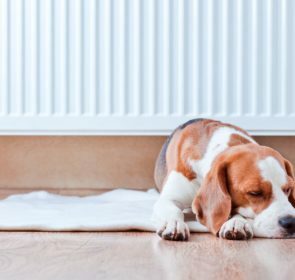 A poorly maintained boiler puts you, your family, and your home at risk of health hazards, most notable is carbon monoxide poisoning. Symptoms include headaches, dizziness, weakness, nausea, vomiting, and chest pain. Long term exposure can result in brain damage, heart problems, organ dysfunction, and behavioural, memory, or cognitive problems. If left untreated, it can lead to death. Additionally, some boiler brands stipulate that regular servicing be a condition of the boiler warranty. This means that you will need consistent boiler servicing to make sure the warranty is valid. A boiler service also reduces your costs for unexpected repairs. With regular check ups, your heating engineer should spot problems early on and solve them quickly. However, without servicing, these problems could go on unnoticed, grow, and cause huge problems down the line. This means large repair bills for you—having your boiler serviced regularly prevents this. Having your boiler serviced also translates to lower fuel costs. Your boiler engineer will check if your boiler is burning fuel efficiently and not wasting energy. If there are any issues, your engineer will replace, repair, or improve any components to increase your boiler’s efficiency, saving you money in the long run. Finally, having a boiler service is legally required in some circumstances. For example, landlords must arrange for annual boiler servicing to comply with regulations. With a boiler service, you cannot just go with the cheapest option. Your boiler service provider needs to have the right qualifications and knowledge of your heating system to properly and legally inspect it. However, the right engineer is not available only at a high price, but at a price that is reasonable for your needs. To find this, compare multiple companies with a no obligation quote request.